Powerhouse of parody fuelled on best bitter, pork pies and raucous gigs regularly playing to sell out crowds in their native South Yorkshire – and EVERLY PREGNANT BROTHERS are rapidly growing a UK cult following! Frontman ‘Big’ Shaun Doane sets the tone and drives proceedings forward with a huge vocal performance and wicked renditions of music classics – This Chip Pan’s On Fire // Dunt Tha Want Mi // Stuck In The Lidl With You // No Oven No Pie and lots more! 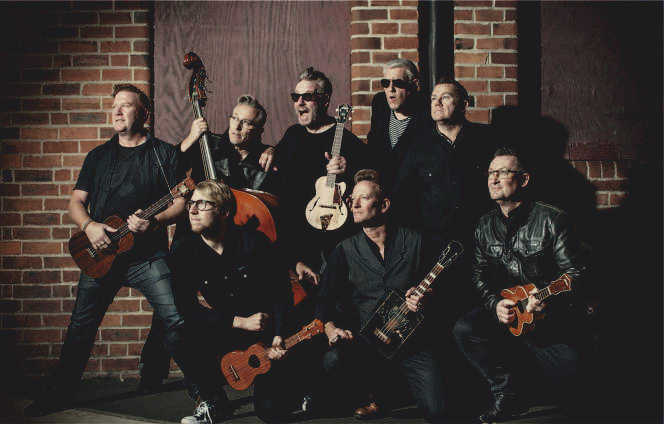 A national treasure in their native Sheffield the Brothers playful tampering of classic songs has won them friends and fans far and wide and 2019 marks their 10th Anniversary. And celebrating the Brethren with a series of special performances across the UK. For fans of Lancashire Hotpots and Hayseed Dixie!